This is the page for the South Meriden VFD. They have 2 engines, 1 light rescue truck, and 1 pickup truck. I only have a picture of Engine 11. 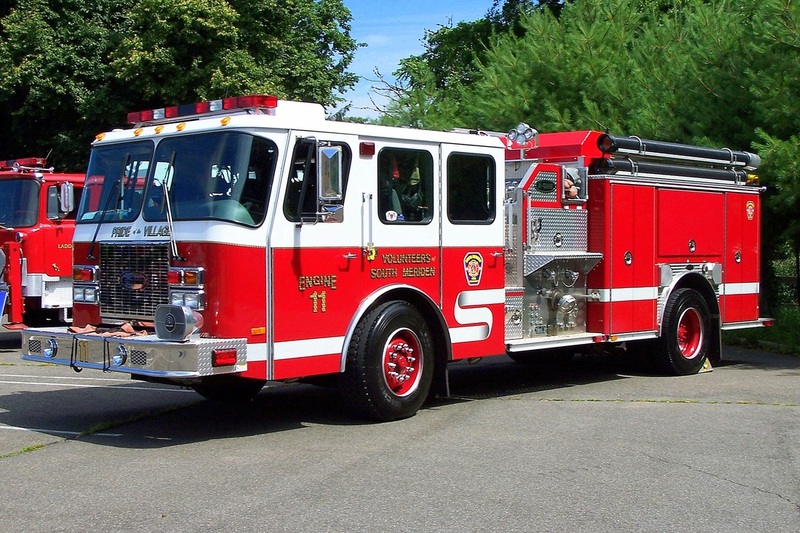 South Meriden's Engine 11, a 2001 E-One engine.